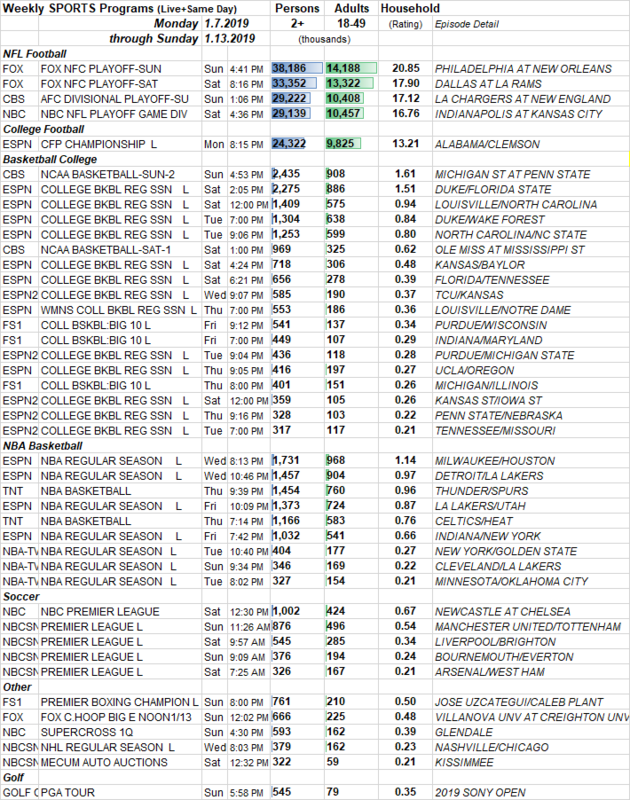 Here are the full week sports ratings for Monday January 7 through Sunday January 13, 2019. Eligible programs include sporting events on broadcast and cable networks (minimum audience size 300K P2+ live+same day). 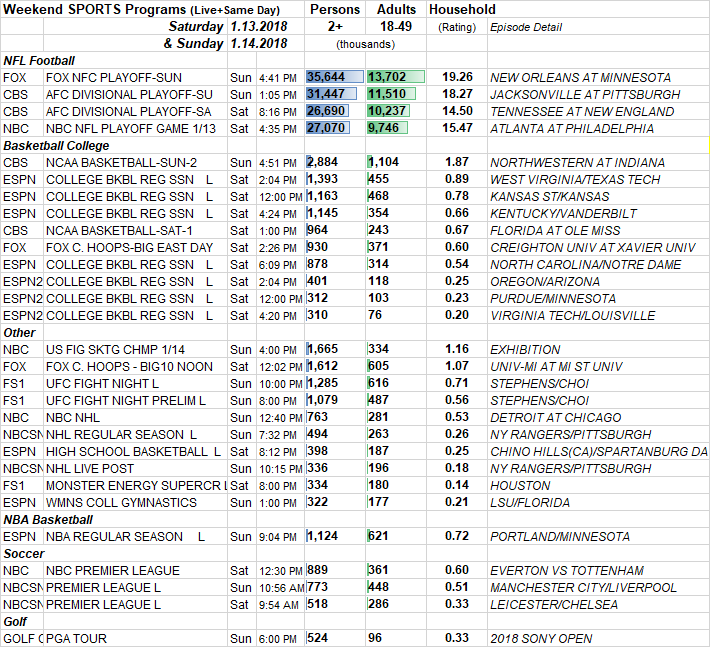 Programs are grouped by sport and ranked within each sport by P2+ audience size.